Limit 1 per person. Valid on initial consultation. New patients only. Valid Monday, Wednesday or Friday only. By appointment only. Please notify of cancellations or to reschedule 24 hours in advance. Promotional value expires 365 days after purchase. Advertising solicitation prohibited. Trying to use the same old cures to heal an aching body feels a little like hitting your head against the wall, which unfortunately won’t help your headache. 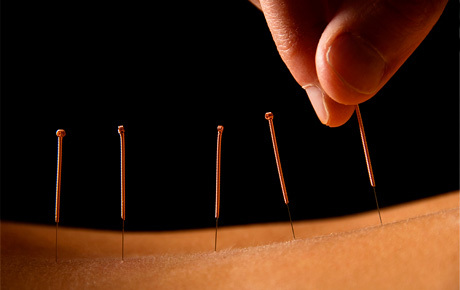 Try a natural approach instead with this deal for 50% off an initial consultation from Acupuncture for Everything! LLC in Kenosha, Wis ($150 value). This consultation begins with a physical examination designed to facilitate a fully personalized treatment. Your individualized acupuncture sessions might also include adjunctive therapy like moxibustion, cupping and other specialty procedures. All treatments are overseen by Tina Perri, a licensed acupuncturist who holds degrees in nutrition and oriental medicine. If you feel out of step in your pursuit of wellness, these innovative classical techniques might be the remedy you need. Pinpoint the source of your ailments with this therapeutic deal.